Slow Food Corvallis held a Give Bees A Chance event on Thursday, August 8th at the Oregon State University Oak Creek Center for Urban Horticulture apiary site. Ellen Topitzhofer, an OSU graduate student studying honeybee nutrition, gave a very informative talk about honeybee organization, their importance in Oregon agriculture as well as a discussion about the many complex components that are contributing factors to honeybee and other pollinators’ declining numbers. 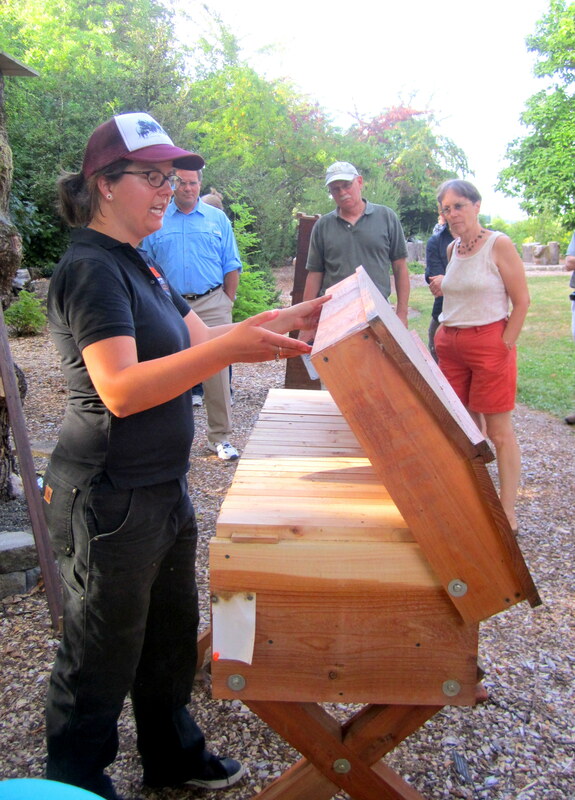 Ellen’s presentation included a walking tour through the apiary explaining a variety of different hive box styles from the more commonly seen Langstroth hive boxes to tree snags, Warre style, Kenyan Top Bar design to clay pot styles used more than 3000 yrs ago in Egypt. 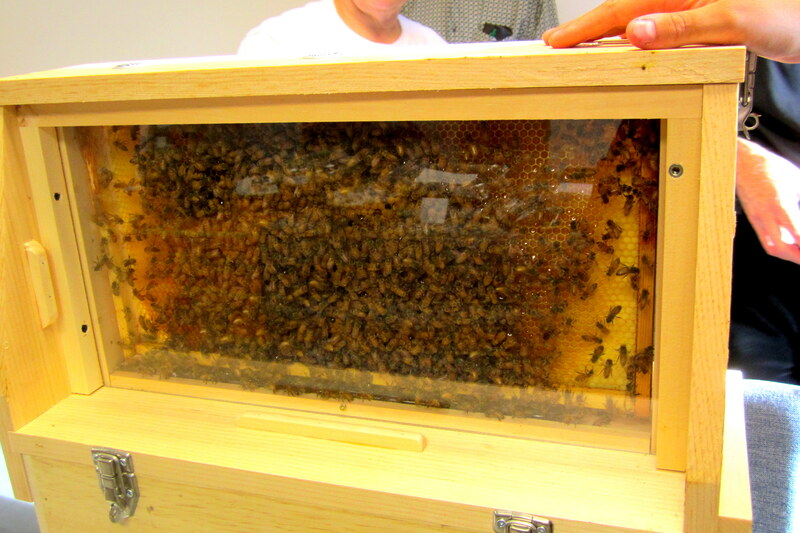 Following the talk and hive walking tour, those in attendance were greeted with an observation hive along with varietal honeys to taste such as Meadow Foam, Clary Sage, Peppermint, Clover, Maple, and Blackberry, provided by Honey Tree Apiaries located in nearby Alpine. Everyone was treated to a smorgasbord of foods to sample all made with honey by Slow Food Board members. 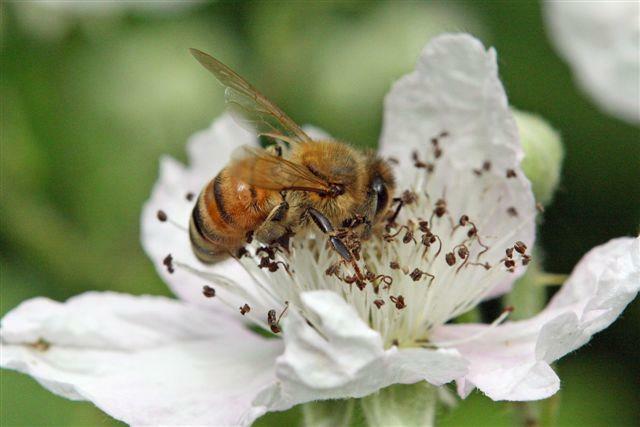 Bees are fascinating critters whose pollination efforts account for every third bite of food that we eat. 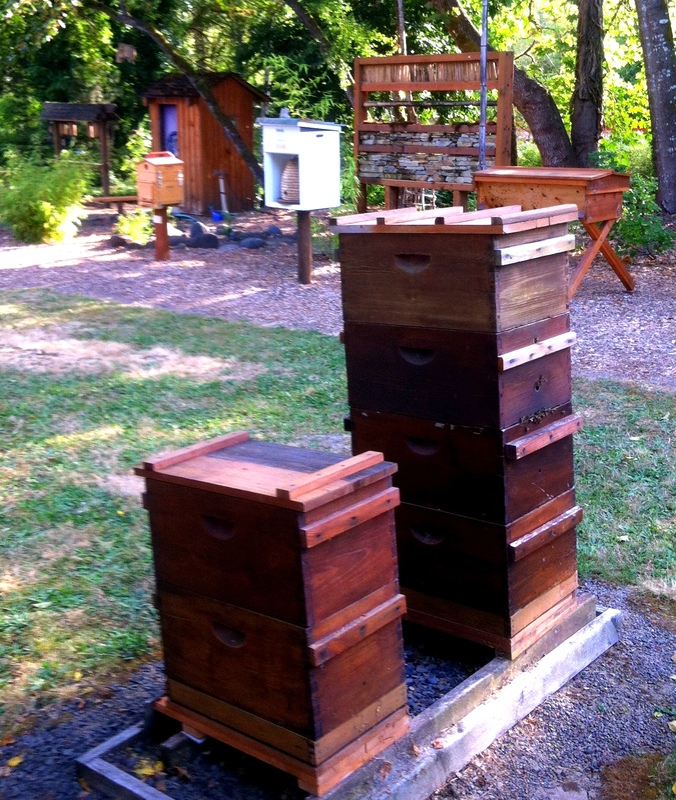 To make just one pound of honey, a colony of bees will fly 55,000 miles and will gather pollen and nectar from two million flowers.